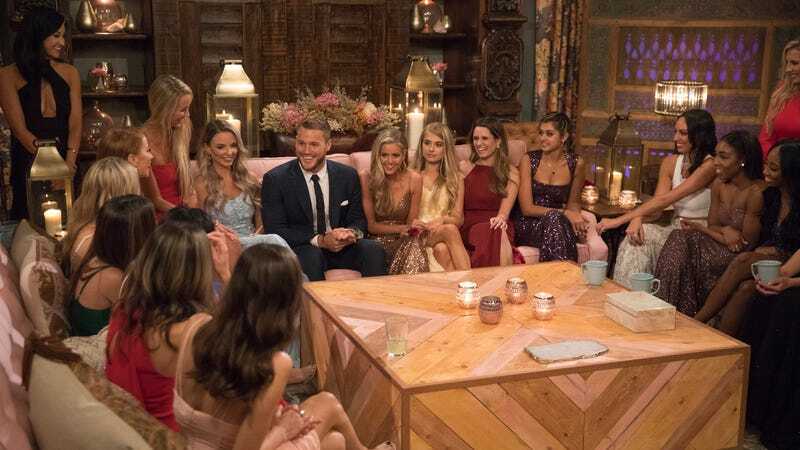 If last night’s three-hour Bachelor premiere was any indication, lots of people (primarily female) gathered last night to watch Colton Underwood meet a veritable slew of long-haired women. Frankly, since the only adjective Colton could come up with was “gorgeous” and the most interesting thing about him appears to be his virginity, it looks like a real snoozer of a season (He’s no Becca, that’s for sure. If only the new Bachelor was Jason! Or Blake!). But the tepidity of this first episode, despite the Cinderella carriages and sloth costumes, didn’t seem to dampen the excitement of partying women all over the country, wearing rose T-shirts and clinking plastic champagne flutes as they settled in for a rare January TV event. What if these fans had a dedicated bar to go to, just like the devoted followers of certain sports teams? That’s the concept behind the genius (to these ears) idea behind this pop-up-bar-I-would-actually-go-to: a reality TV bar at Ricky’s South Beach in Miami Beach (the bar is apparently known for its artichoke pizzas). TimeOut reports that the first such-themed pop-up bar hosts themed cocktails (naturally) like “the Mascara Tears rosé, Frenemy champagne, Backstabber mimosa, Fake Apology margarita, Cougar on the Loose Cosmopolitan.” Food includes the “scene stealing ceviche” and “on the Jersey Shore Sicilian pizza”; there are even props from reality shows like the Jersey Shore duck phone. And various reality “stars” from series like the Real Housewives series and Ex On The Beach have been known to stop by. Sadly, all the fun stops tomorrow, January 9, as a pop-up bar is, by definition, a temporary thing. Which pretty much leaves me stranded in the Midwest through the next few months of Colton. Fortunately, my pal Lynn continues to host my friends and me as we scream and yell at the TV (Catherine is the worst, but you know she’s coming back because the show needs a villain; not for nothing did I review several seasons of UnREAL). But I would totally be down for a Fake Apology margarita if such an establishment were to magically pop up in my town.